Videos, Pictures, Fun Links & More! Looking for an awesome way for your child to spend school vacation? Look no further! 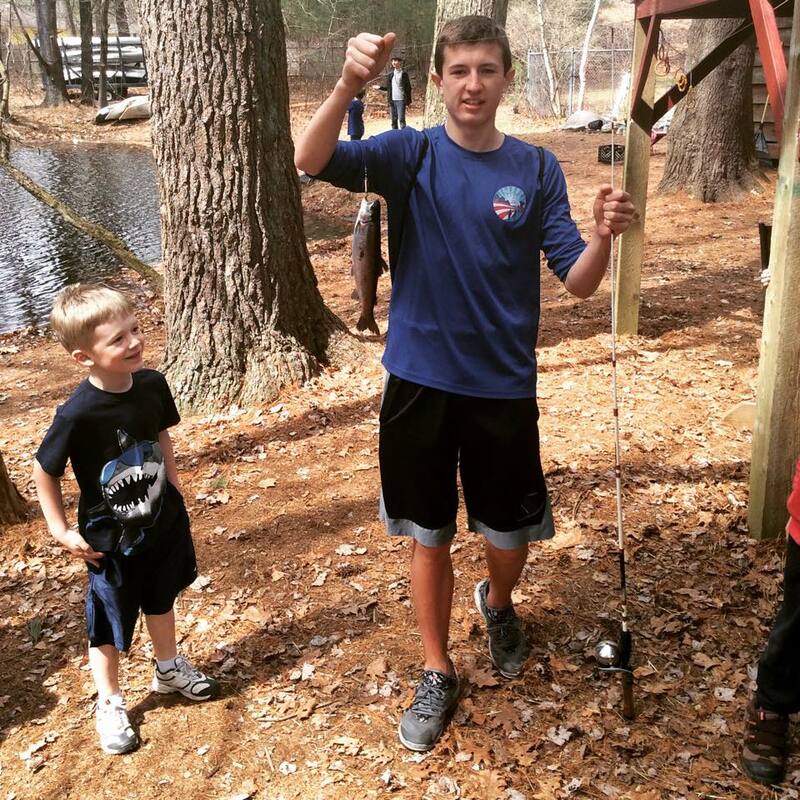 Camp Evergreen offers vacation camp during February and April school vacations. We have a program designed for whatever mother nature provides us ensuring that your child gets the most out of their winter and spring breaks. Our seasonal activities keep kids active and excited about the outdoors while making lots of new friends along the way! Our choice location with its natural wooded surroundings provide the perfect setting for stimulating, adventurous, creative and fun experiences no matter what the season. Evergreen is a great place to spend February school vacation. Winter gives us the opportunity to expose children to some unique activities that can only take place during the chillier months of the year. Walking out on a frozen lake for ice fishing and skating is a magical experience for any youngster. Sledding on our very own “Loscy Hill” and snow fort building are sure to be favorite activities. Hiking through the snow in the Harold Parker Forest offers a completely new perspective of the natural surroundings. Tapping maple trees to make our very own maple syrup is a delight! We also have heated areas to warm up in after spending time outside. Our old school arcade is a popular choice, and arts and crafts always has some fun creative projects going on. Our game room is well stocked with cards and board games. We also spend the week preparing for the famous Evergreen Talent show that takes place in our indoor stage area. 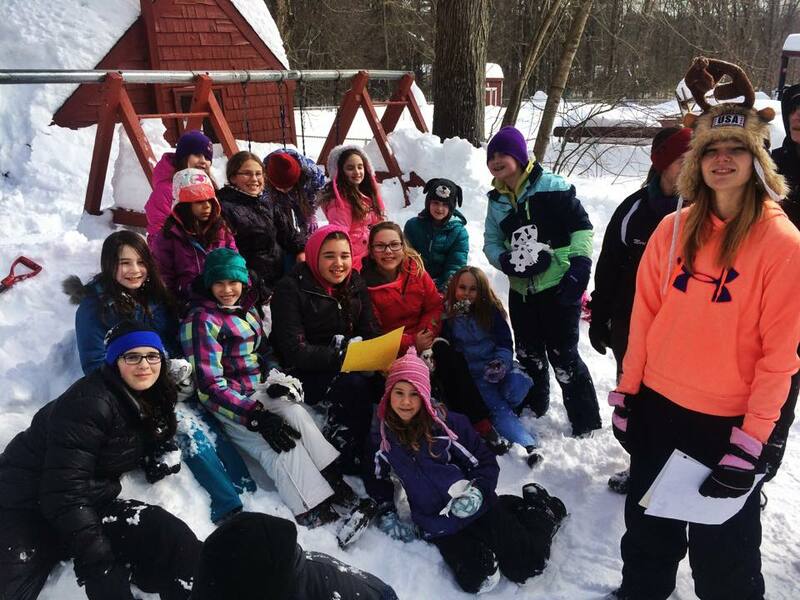 These are just some of the fun activities that campers get to experience during Winter Camp! The dates for Winter Camp 2019 are 2/18 to 2/22. Register Here for Winter Camp! Enjoying a snowy day during Winter Camp at Evergreen! After a long winter there is nothing better than taking advantage of the warming weather and getting outside. Spring Camp at Evergreen allows children to do just that. Our fields and courts have thawed out by this time allowing us to play some awesome sports and field games. We love hiking out to Salem Pond to experience mother nature awakening all around us. And of course, we stalk our pond with rainbow trout so that everyone will be sure to catch a fish! Other activities include, canoeing, gardening, arts and crafts, archery, skits, the talent show, much more! The dates for Spring Camp 2019 are 4/15 to 4/19. Register Here for Spring Camp!